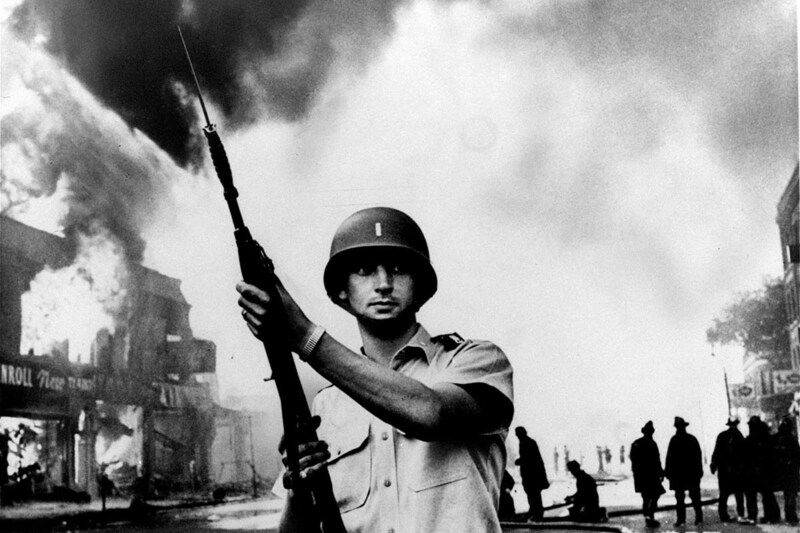 Additional showings of “12th and Clairmount,” a documentary produced by the Detroit Free Press in collaboration with Bridge and WXYZ-TV, have been scheduled as the 50th anniversary of the unrest of 1967 approaches. The next opportunity to see the film will be 7:30 pm onThursday, July 20 at Detroit’s Senate Theater. (Please note: The Senate Theater, a historic building, does not have wheelchair-accessible restrooms. The restrooms are located upstairs from the theater area. If you have mobility issues, please choose another screening.) Tickets for this screening can be purchased here. For information about this and additional screenings taking place throughout July and August, click here. Do you have recollections of the uprising of 1967 that you would like to share? We want to hear from you! Click here and tell us about your experience. I do not like media with their intervening and putting their own slant on it and skewing from the truth. I hate it when that happens. It seems interesting to me, but I definetly want the REAL TRUTH not some jacka** political agenda attached to it to change the truth. So I will watch with caution that, am I really getting the truth. I was 15 in 1967 and lived in Northwest Detroit. I went to Detroit Public Schools K thru 12. It's mostly all historical footage, photos, and comments by Detroiters, Black and White; more a historical sketch than an analysis. I lived that nighmare... I was 12. I was the first in my neighborhood to see them all comedown 14th street. Looting and marching. Blacks and Whites. I don't remember racism as a child. Our schools were 3 races. Black White Hispanic. I ran home and alerted the whole neighborhood. The fires began..the looting... the tanks. I would take little bottles of cold coke to the soldiers and they would give me rations. Not that we needed food it was something new.... My Mother never slept... watching to make sure our house didn't get set fire. Everyone in the neighborhood started writing Black is Beautiful on their windows.. I didn't understand why? Weren't we all Beautiful? We didn't do that. I had many black, hispanic friends and we all went to each others homes without thought of race.... By march my Mother died of a heart attack and most of the buildings were burnt down... she was 38. I have many memories of those days... We watched them set fire to buildings... we watched a shooting... we saw the neighborhood disappearing.. I will never forget. Wow. That was a traumatic time for you. You lived in the heart of the struggle. So sorry that you lost your mother, when you and she were so young. Perhaps the stress of those days caused her heart attack. I was sequestered in the Bell Bldg on Cass Ave for thre days during this disturance. I saw fires breaking out from the 12th floor cafeteria and outside was the National guard with their tanks and weapons guarding the building. I lived in Lapeer County back then, but my family ventured down to Olympia Stadium on Grand River in the summer of 1967 for a daytime concert by the Monkees (warmed up by Jimi Hendrix. ) My mother and sister dropped the rest of us off at the concert and they elected to drive around for two hours instead of parking the car. Did I mention we were from Lapeer County? I was a young child of eight when the uprising happened. I remember sitting in a Detroit movie theater with my mother and brother watching "The Sound of Music." The theater manager stopped the film and announced to the patrons, "The Negroes are rioting." Everyone is advised to go home." We left the theater immediately. Days later, my father drove four of us children the area of the riot (near Tiger stadium, I think.). I remember seeing "Soul Brother" signs in some of the store windows, small fires and smoke, but not many people. I remember my father saying, "This is history. Some day you'll read about it in your school books."